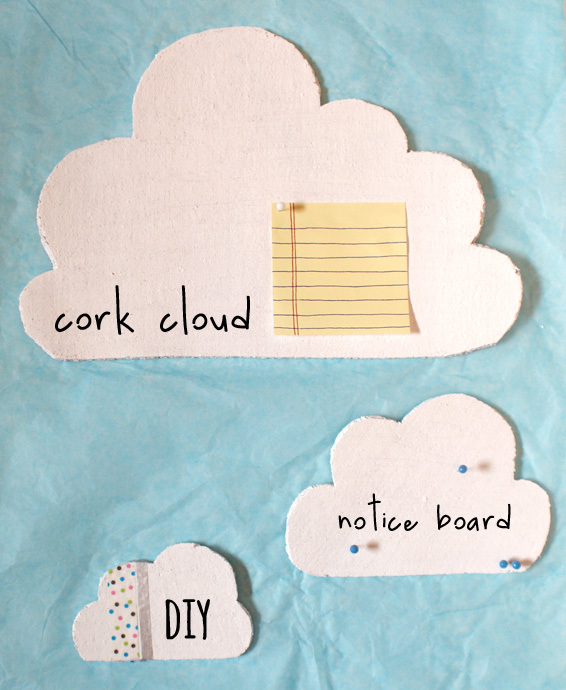 Today I thought I would share our adorable little cloud notice board diy to brighten up your day 🙂 These little pin boards are a new creation for our studio. 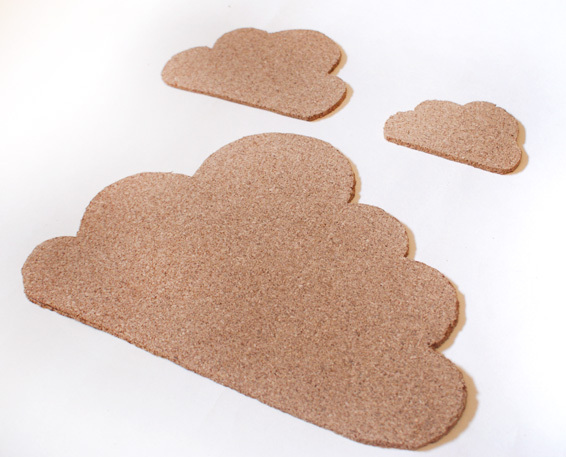 They’re easy peasy to make as they’re just made from cork, but they look really adorable with our inspiration pinned to them! Recently we’ve been working away at Vivid HQ to make our new studio space a whole lot more fun, so I’m really looking forward to sharing things we’re making for it as we go along. It’s going to look awesome when it’s finally done, and I’ll be sure to share plenty of photos! In the meantime, this project is a small and easy way to help get your creative juices flowing. I don’t think it matters what room you make these for, they’re simply perfect! 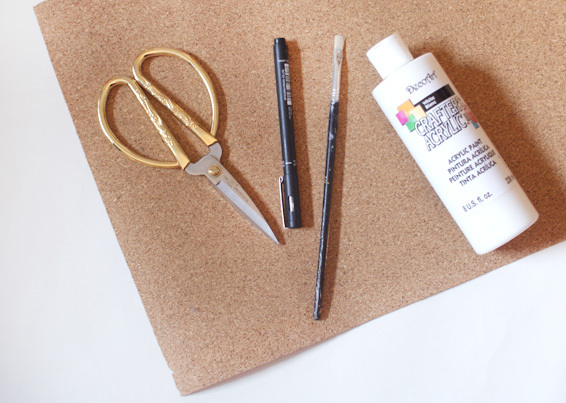 All you’ll need is a sheet of cork, some good scissors (or better yet a scalpel/exacto knife if you’re handy with one), a pen, paint brush and some white paint. 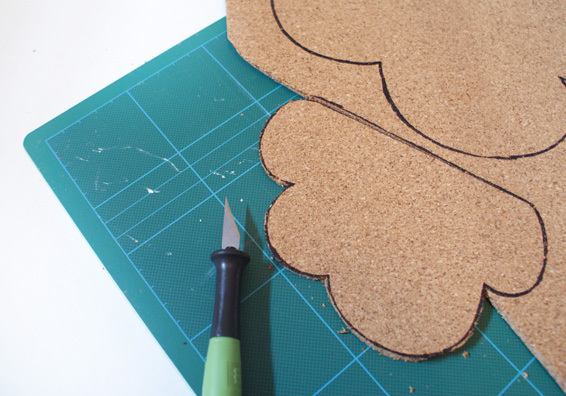 Using some scissors or a sharp knife, cut out each cloud. This is the trickiest part as you’re cutting out a lot of curves, but it’s worth taking your time over. When you’re done, lightly rub your finger all the way around the edge of each cloud to take off any loose pieces of cork. Now all you need to do is paint it white! 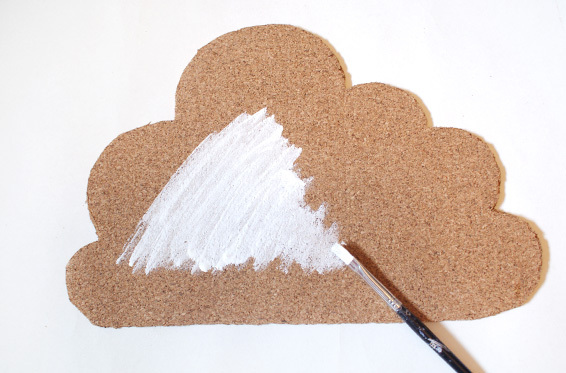 As the cork absorbs the paint quite a lot, you’ll need to do 2-3 layers of white paint to make it even. Make sure to let each layer dry completely before starting the next one. Thin layers of paint work better than slapping it on too – you don’t want it to go lumpy! 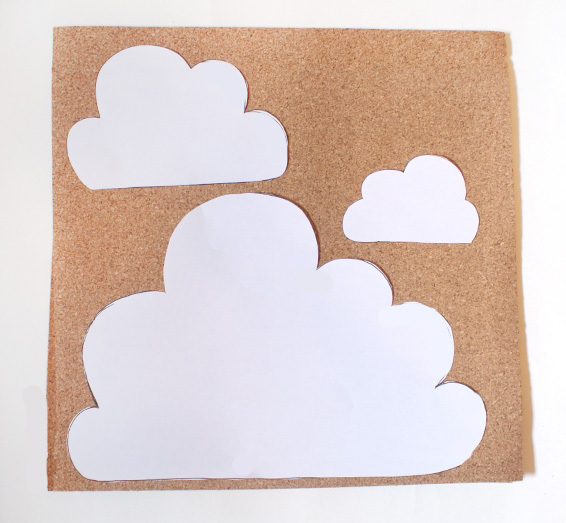 Once it’s fully dried, you can pin it to your wall and start hanging up all your notes and inspiration snippets! Add a little washi tape and some little blue notice board pins and it’ll even look like it’s going to rain 🙂 So pretty! 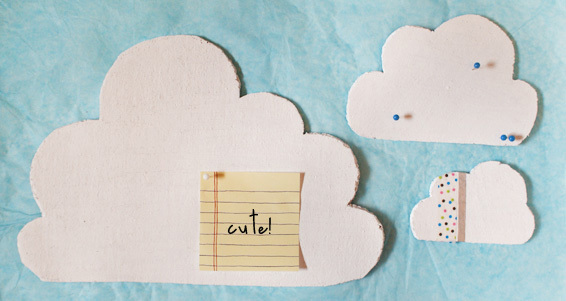 We hope you found our cloud message board tutorial a lot of fun! We’d love to hear what creative ideas you’ve implemented into your workspaces too. Bet there is some awesome ideas out there! wow awesome. But I wanted to know that what if we don’t avail any cork sheet? what will work then?? ?